What Happens When Parenting Doesn’t Go According To Plan? All Good Things, Eventually. After an on-track session at Grattan Raceway last weekend, I found myself in our trailer sitting next to Ross Bentley of Speed Secrets fame, chatting over the sound of cars lapping. Our club, Rally Sport Region PCA, had brought Ross to Michigan as a special guest at our three-day driver’s education event (D.E. ), where he was running classroom sessions, offering driver tools, and generally discussing all things driving with attendees. Ross asked how my session had gone. “I’d like to see that,” said Ross. I laughed nervously. And then the list of excuses came pouring out of my mouth. It has been too long since I last drove. I feel like I am manhandling the car at the moment. My lap times are terrible. Maybe tomorrow, after I get back in the groove. In my defense, it wasn’t just anyone who wanted to see my data –we are talking about Ross Bentley here. The same Ross Bentley who was still a little jetlagged from having coached drivers at the 24 Hours of Le Mans and who writes the Speed Secrets books I was instructed to study before I ever set foot on a race track. He has a bona fide race pedigree and coaches some of the best drivers in the world. And he wanted to see my data. Oh, hell no. No way. Well, the opportunity came and went, and I missed it. 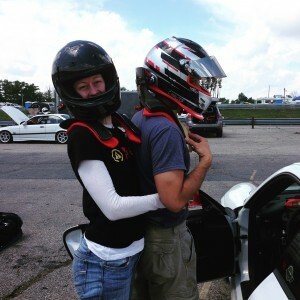 By the time I got my lap times back up, had my husband tell me my times were actually decent, and came around to the idea that it might be a good idea to share my data with Ross, he was long gone. And now it’s just me and my data back at home. How many times have you gotten the opportunity to show what you can do to someone who can help you improve and have chosen not to because your fear dominated you? From silly things, like dancing or singing karaoke in front of friends, to big things, like showing your art to an artist you respect or your driving video to someone who can offer you great constructive criticism, our ego keeps us from possibility. As Wayne Gretzky says, you miss 100% of the shots you do not take. What would have happened if I had indeed showed my in-car data to Ross? It is unlikely he would have burst out laughing and said, “you call this a lap? !” Most likely, he would have offered me great advice on what aspects of my driving to work on so I could improve, and I could have made my weekend even more productive. But to get that knowledge required me to push my ego aside and be brave and vulnerable, which I didn’t manage to be when presented with that opportunity. Often, our ego keeps us from asking for help, because by asking, we might expose our lack of ability or knowledge. But there is empowerment and lightness in reaching out to someone and saying, “I am not sure how to do this, and I really respect what you know. Could you help me improve?” Each time we are brave enough to show the parts of ourselves we are not comfortable with we don’t only grow stronger, but we also learn and become more skilled. It seems counter-intuitive, but vulnerability strengthens us. Our ego can also keep us from being satisfied with the wonderful things we already have. My husband is an immensely talented driver who works hard to improve each and every time he is behind the wheel. Where I am hesitant to show my data, he pores over it with our data guru friend, M. While I was refusing to share my data, he was discussing it with Ross consistently, working out tenths and minute variations in his throttle and brake inputs and driving line. His ego wanted more: an even faster lap. It took the wise teacher to remind him that he should not let his desire for “more” keep him from appreciating the significant improvements he had already made on that weekend. Negative mental dialogue fueled by our ego tends to encourage us to do only what we are good at so others perceive us as “in control” and “gifted”. It is far easier to do things as you have always done them, safely away from criticism of any sort. The more we listen to these limiting thoughts, the less room we leave to learn and improve. These messages can be subtle, but with practice we can learn to recognize them as manifestations of fear that do not serve us in our journey to become better at the things we love. If we can be brave enough to trust the great teachers with our creative process – be it on paper, on a piano, on the basketball court or in the car – then we open ourselves to incredible growth potential. Fear of criticism doesn’t just keep us from growing, but also from trying new things. No one likes to be a newbie. 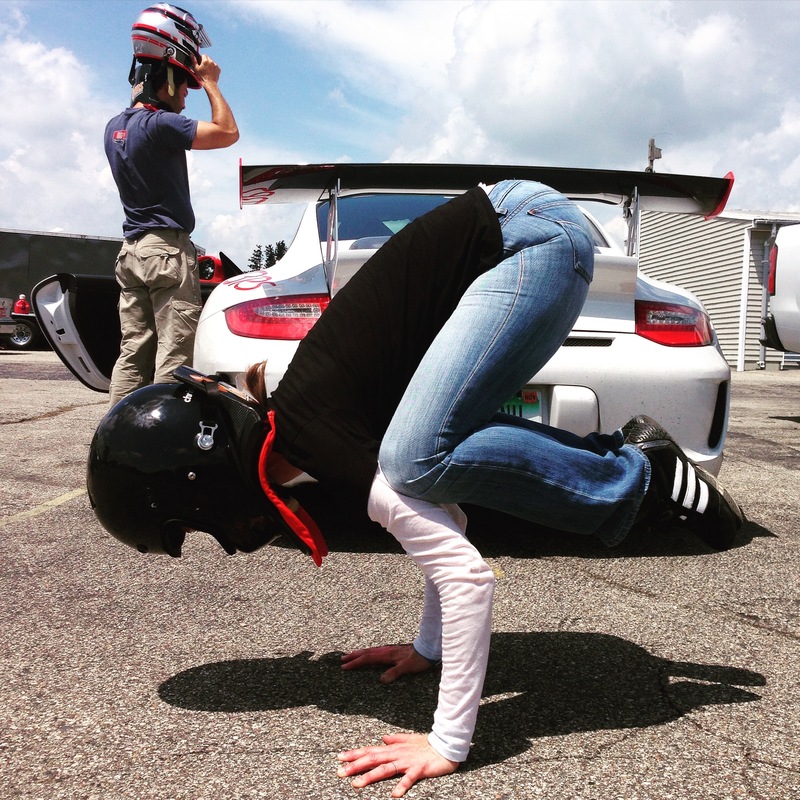 As a yoga teacher, I often hear, “I would try yoga but I am not flexible. I don’t know what I am doing.” The student fears looking lost and awkward, so I tell them, “we all have to start somewhere. We are all a work in progress. You probably know more and can do more than you think.” Then I get to the racetrack and I forget all these noble lessons and hold on to my data as if it was the most embarrassing secret ever. Looks like I have to work on practicing what I preach, huh? The next time Ross offers to look at my data – or any opportunity to grow presents itself to me – I am going to remember this missed opportunity and my answer will be a resounding yes. Whatever it is for you – a new haircut, showing your artwork, taking ballroom dancing – take the leap and do it. The opportunity to grow and improve is far more valuable to us than preserving our frail ego in its tiny little safe space. *Data acquisition systems allow both amateur and professional drivers to gather information about their speed, braking, acceleration and G-forces at the race track. Using this data, drivers can improve their driving by focusing on individual areas of technique to work on.